Being charged with a first offense domestic violence in Michigan can be frightening and frustrating. Judges and prosecutors will assume you are guilty before you even walk into the courthouse. Your lawyer must be reliable, capable, experienced and he must treat you with dignity and compassion. Circumstances that might cause someone to be charged with a first offense domestic violence are often complicated. When police are called to respond to a domestic violence complaint, they generally have a policy that someone must go to jail. One of the many problems with this type of policy is that police often feel justified or pressured into exaggerating evidence to justify the arrest, even at times when it is unclear that an offense was committed. In first offense situations, the individuals frequently have little experience with law enforcement and mistakenly make statements that are later used against them in court. Worst of all, some people believe that if they take responsibility and admit they made a mistake, the police or court will go easier on them. The reality of the situation is that judges and prosecutors are often more strict with individuals in cases where there are admissions. 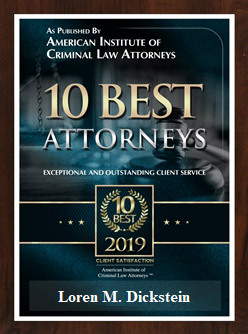 The fact is that jail and even a conviction can often be avoided in a first offense domestic violence in Michigan if a skilled and experienced lawyer is used to defend the charges. Jail can be avoided in cases where the allegations are true and also in those cases where the accusations are false or exaggerated. The only way to know your options is to have a free and confidential consultation with a domestic violence defense attorney. What if the victim doesn’t show up for court? If the complainant or victim does not show up, the prosecutor may ask for a material witness warrant for that person’s arrest. Different prosecutors handle these situations differently. Although there are laws in Michigan that allow the prosecutor to use the victim’s statements to the police to prove a case, a skilled defense attorney will know how to stop the prosecutor by using federal law. If a victim does not show up for trial, a lawyer may be able to get the charges dismissed. How much time will I get for domestic violence first offense? You do not have to do any time in jail for first offense domestic violence in Michigan. The maximum sentence is 93 days, but there is no minimum sentence. Every case is different; however, a good attorney gives you the best chance of avoiding any jail time at all. What if the victim or complainant wants to “drop the charges”? A victim cannot “drop charges” in Michigan because that person does not bring the charges in the first place. The charges are started by the police and prosecutors, and the victim is considered a witness, not a party. A prosecutor may consider or disregard the wishes of the victim. In the vast majority of cases, letters or pleas to the prosecutor to “drop charges” generally backfire and make it more difficult to get the charges dismissed. Is there a defense to first offense domestic violence? Yes! There are many defenses to first offense domestic violence including mistake, self-defense, alibi, and a claim the charges are false or fabricated. In many of these cases, allegations are fabricated to gain an advantage in a divorce, with custody, to obtain possession of a home, or to get money. These ulterior motives can help bolster a strong defense. Most defense lawyers manipulate even innocent clients into pleading guilty because they are afraid to take a case to trial or push for a dismissal. The defense lawyers with LEWIS & DICKSTEIN, P.L.L.C. are not afraid to win! What is the usual sentence for first offense domestic violence? Jail is always a possibility and it is the lawyer’s job to convince a judge not to incarcerate his client. Probation is ordered as part of a sentence in almost all cases and frequently includes therapy, community service, education, drug and alcohol testing, a prohibition against firearms, and more. The best way to minimize probation conditions and the length of probation is by proactive preparation, from even before charges are issued if possible, to show the judge that the defendant is independently rehabilitating. Do you want to avoid a conviction and jail time for a first offense domestic violence in Michigan? We can help you achieve the best possible outcome for your case. Regardless of whether the offense was committed or if it is a false allegation, the Defense Team with LEWIS & DICKSTEIN, P.L.L.C. will know the best strategy to help you. 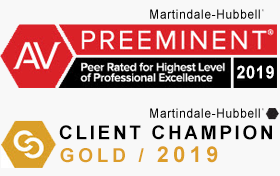 We have decades of experience and a winning track record of assisting clients in Oakland County, Macomb County, Washtenaw County, Wayne County and throughout Southeastern Michigan. Call us today at (248) 263-6800 or complete a Request for Assistance Form and we will promptly contact you.